OakBend Medical Center to Present Surf’s Up! 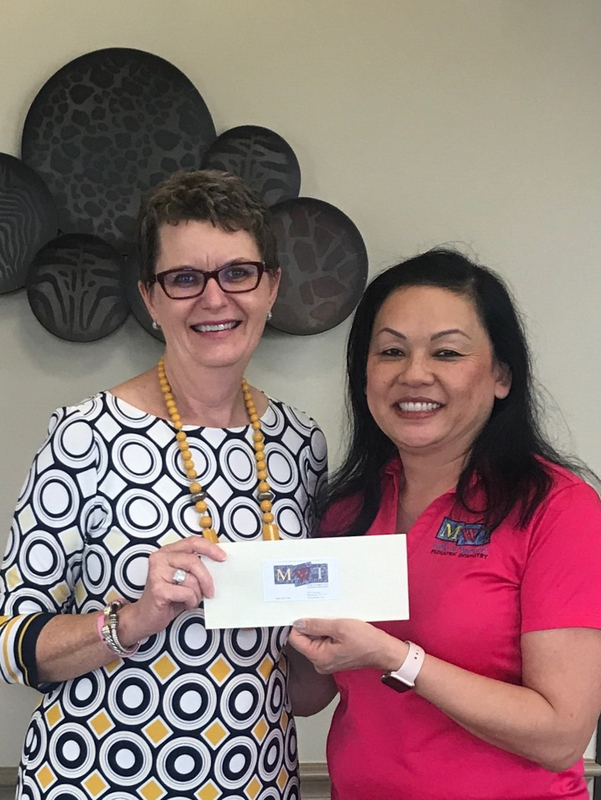 OakBend Medical Center is one again the title sponsor for the 2019 Surf’s Up School’s Out, with the Triumphs, benefiting the Lamar Educational Awards foundation (L.E.A.F.). The dinner, dance and auction will be Friday, May 3 at the Fort Bend County Fairgrounds. Dinner is served from 6:30 to 8 p.m., with Commissioner Vincent Morales and Shorty Yeaman auctioning off 20 desserts immediately following. 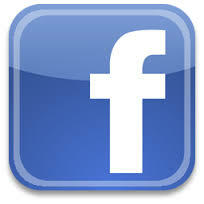 The dance starts at 9:00 p.m. with entertainment by Fort Bend County’s favorite party band, The Triumphs. Funds raised at Surf’s Up underwrite grants for Lamar CISD teachers. 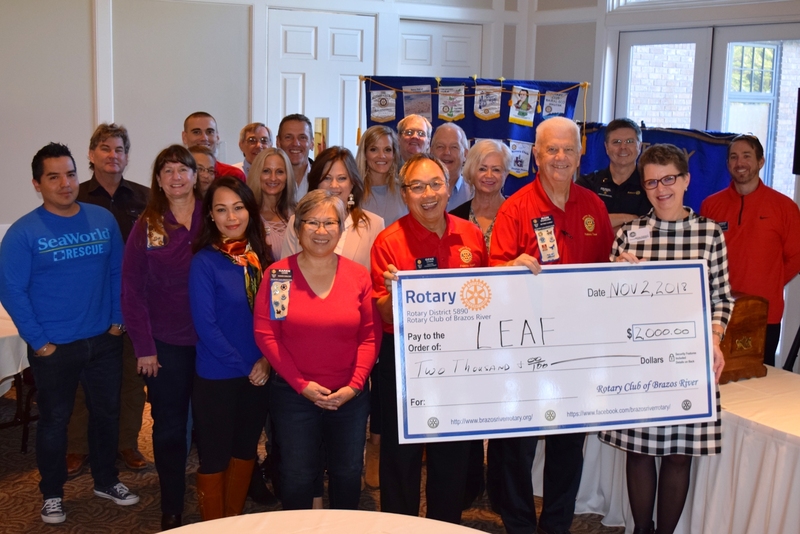 More than $451,000 was awarded by the L.E.A.F. “Grant Express” in 2018. Since 2000, L.E.A.F has awarded more than $3.8 million dollars in grants for innovative classroom project. Individual tickets are $25, which includes a chicken-fried steak dinner catered by Vincek’s. Reserved tables for eight are $250. For ticket information or to reserve tables for Surf’s Up, contact Janice Knight at 832-223-0334 or online at www.leafgrants.org. 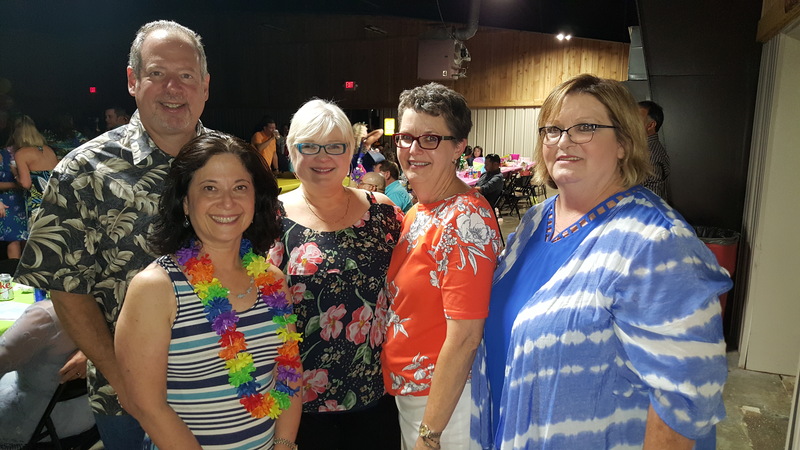 L to R Ready to celebrate the end of another successful school year is Joe Freudenberger, Laura Freudenberger, Linda Drummond, Janice Knight and Donna Ferguson. 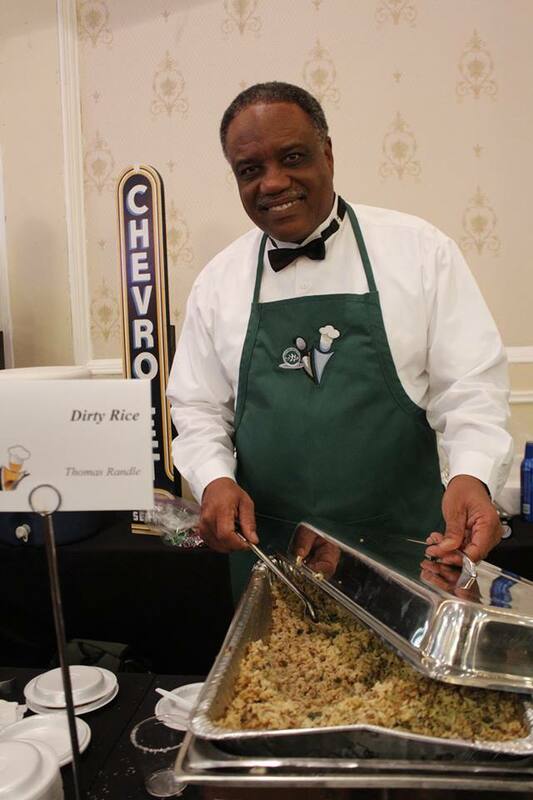 Men Who Cook, presented by Johnson Development Corp. was a great event for the teachers and students of Lamar CISD. Over $171,000 was raised to underwrite educational grants for this the fall. We would like to thank all our cooks, auction buyers, underwriters and the community for their continued support. A big thank you to Johnson Development Corp. for their presenting sponsorship. Men are Ready to Cook! Thanks to the Brazos River Rotary Club for a $2000 Rotary grant to help fund additional educational programs and activities for students and teachers in Lamar CISD. Appreciate your support! 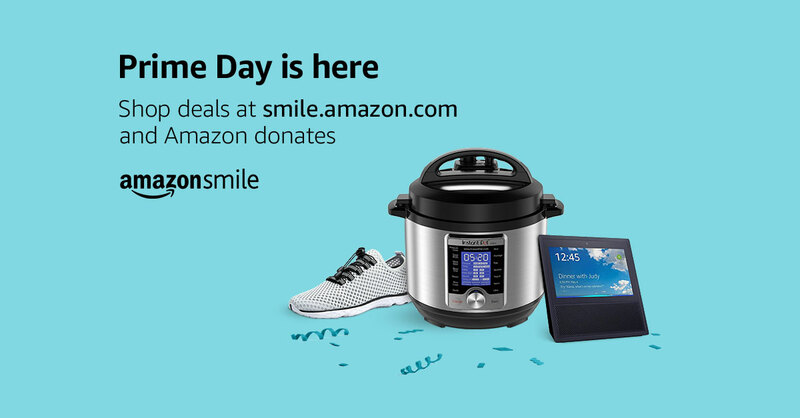 Through Nov 2, AmazonSmile is donating 5% (ten times the usual amount) to Lamar Educational Awards Foundation when you shop at smile.amazon.com/ch/76-0299538. #AmazonSmile #StartWithaSmile L.E.A.F. receiving a $214 donation from AmazonSmile Foundation thanks to our friends who shopped @amazonsmile This program does work. Haven’t signed up? Do it now. Johnson Development will be the title sponsor for the Lamar Educational Awards Foundation’s (L.E.A.F.) 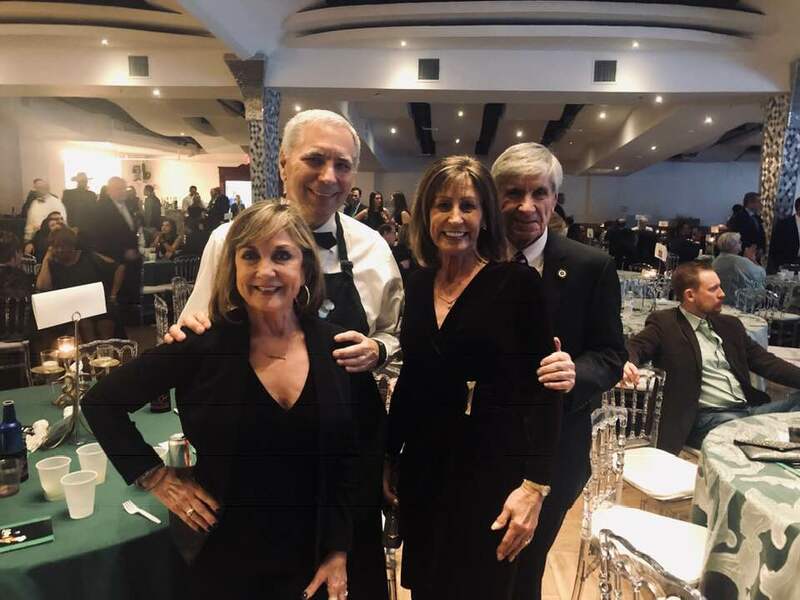 largest annual fundraiser Men Who Cook 2019, set for February 16 at Safari Texas Ranch. “We are so thankful to have Johnson Development as the presenting sponsor for 2019,” said Chip Sutton, L.E.A.F. board president. “Their enthusiastic support of the students in our school district and of the area’s overall economy shows their commitment to our community.” Johnson Development has three neighborhoods in Lamar CISD, Cross Creek Ranch, Jordan Ranch and Veranda. 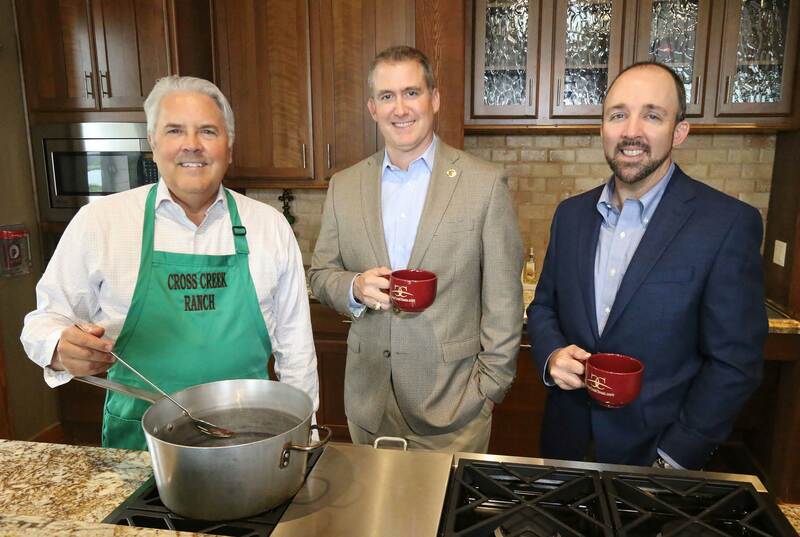 Checking out what Rob Bamford General Manager for Cross Creek Ranch is cooking is Trey Reichert General Manager at Veranda and Steve Sams General Manager at Jordan Ranch. Thank you May W. Tape, D.D.S. for your donation to L.E.A.F. supporting the teachers and students of Lamar CISD! Thanks for making a difference in our community. L.E.A.F. Helps New Teachers with Classroom Setup. Lamar Educational Awards Foundation (L.E.A.F.) 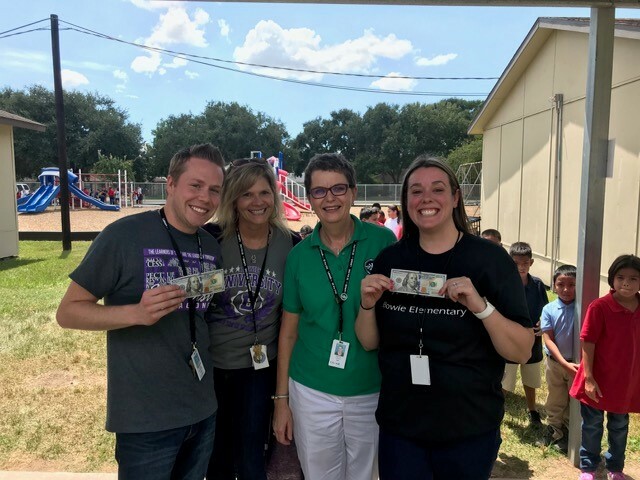 was at Bowie Elementary awarding $100 to two “zero” hour teachers. Justin Davidson and Ashley Ruehman. The gift from L.E.A.F. 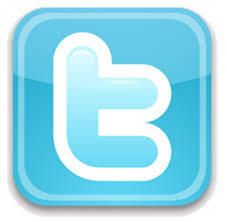 is to help with classroom startup cost. For the 2018 school year, L.E.A.F. has awarded $9,200 and Lamar CISD is still hiring! Money to fund this program comes from our employee giving program. Join LEAF’s Partner Program today! 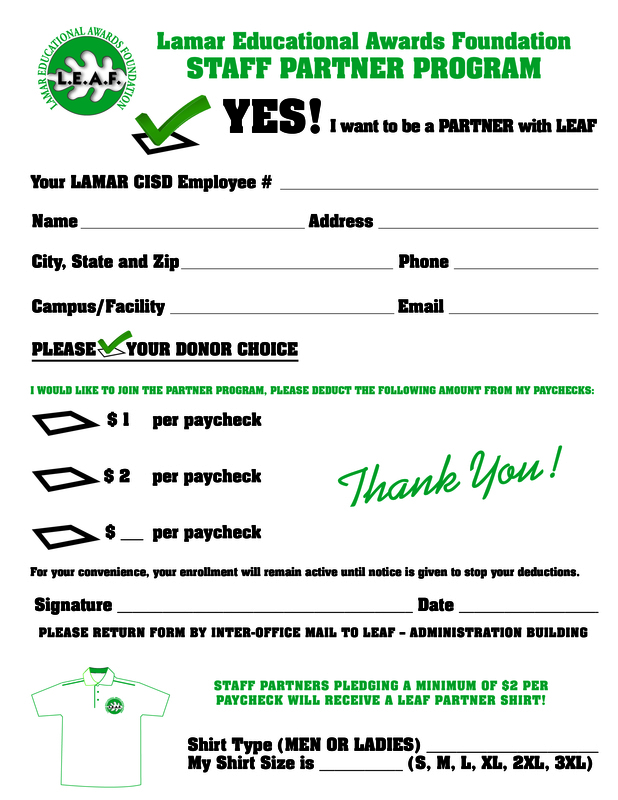 For just $1 a paycheck you will be donating directly to Lamar CISD teachers and students (plus it’s tax deductible). Want a cool shirt? Every employee donating at least $2 per paycheck will receive a LEAF polo shirt.